Many Believers know about God but don't truly have the intimate relationship with Him they desire. Christians feel very close to Jesus but not to the Father. In this Teaching Series, you will draw closer to God and experience worship and intimacy with Him at a deeper more personal level. 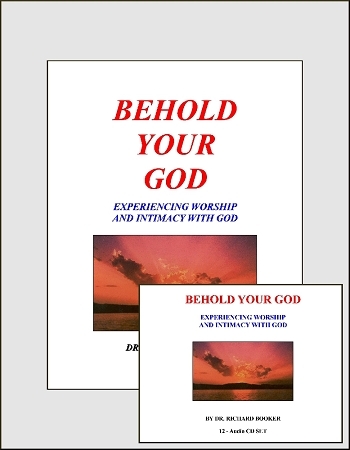 Learn the nature and character of God and how to relate to Him at a personal level. Learn worship prayers for each attribute of God. Develop a sense of awe and joy in the biblical revelation of the greatness and goodness of our Father in heaven. Seek the presence of God and discover the personal meaning and practical application of His nature and character to your life, His kingdom and our world today. Discover how God rules over the nations and uses events to move forward His plans and purposes for our lives.